Humanities Commons is a trusted, nonprofit network where humanities scholars can create a professional profile, discuss common interests, develop new publications, and share their work. The Humanities Commons network is open to anyone. 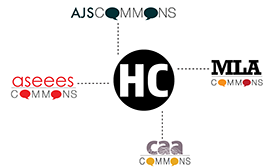 Humanities Commons is a project of the office of scholarly communication at the Modern Language Association. 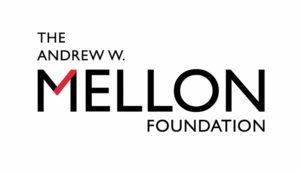 Its development was generously funded by a grant from the Andrew W. Mellon Foundation. Humanities Commons is based on the open-source Commons-in-a-Box project of the City University of New York and the CUNY Graduate Center and is an expansion of the MLA's MLA Commons, which launched in January 2013. The founding partner societies of Humanities Commons are the Association for Jewish Studies; the Association for Slavic, East European, and Eurasian Studies; and the College Art Association. Each society has its own Commons hub. Humanities Commons was designed by scholarly societies in the humanities to serve the needs of humanists as they engage in teaching and research that benefit the larger community. Unlike other social and academic communities, Humanities Commons is open-access, open-source, and nonprofit. It is focused on providing a space to discuss, share, and store cutting-edge research and innovative pedagogy—not on generating profits from users' intellectual and personal data. The network also features an open-access repository, the Commons Open Repository Exchange. CORE allows users to preserve their research and increase its reach by sharing it across disciplinary, institutional, and geographic boundaries. Developed in partnership with Columbia University's Center for Digital Research and Scholarship, CORE is underwritten by a grant from the National Endowment for the Humanities' Office of Digital Humanities. Eric Knappe, technical lead, MLA. Contact the team at hello@hcommons.org. Identity-management services provided by Benjamin Oshrin and Scott Koranda of Spherical Cow Group. Consulting on CBOX provided by Boone Gorges of Hard G.